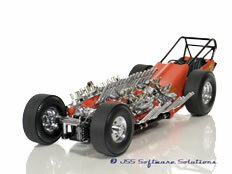 JSS Diecast Software: GMP diecast models. View models manufactured by GMP. This library is NOT a complete reference for this mint; GMP stopped supplying us data a few years ago therefore all their product are not listed here. In December of 1992, Georgia Marketing & Promotions was born. My time spent promoting GMP models, on JSS, was rewarding; their models are some of the best to cross my desk.